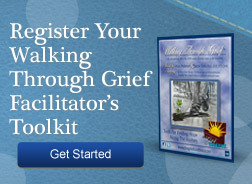 A key element of both the Walking Through Grief singles and the Walking Through Grief toolkit is an "in their own words" element, where people along the journey share all aspects of the grief journey including the pain, shock, hope and healing. Create your own learning environment by starting and stopping the videos as needed to emphasize and reinforce your learning environment. Do you want to run a grief Group? 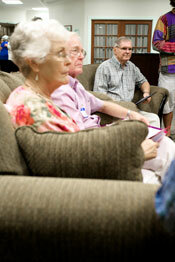 Each topic is about 30 minutes, allowing you to use them as a conversation starter. 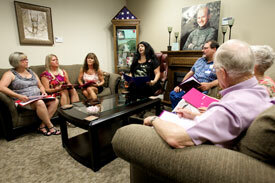 Provide a location for your members to share their loved ones. Provide a calendar for which all members can have access. Create your own discussion topics to share with the whole group. Run a virtual online group. Create and distribute a newsletter for your group.